Training takes place once a month (Saturday between 1-3pm) at the Norwich Union in Perth(address below). Check the calendar of events for further details. If your interested in joining the SDS Wizards, please contact Fraser Govan or Gary Smith on the details below. Alternatively fill out the form on our contact us page. 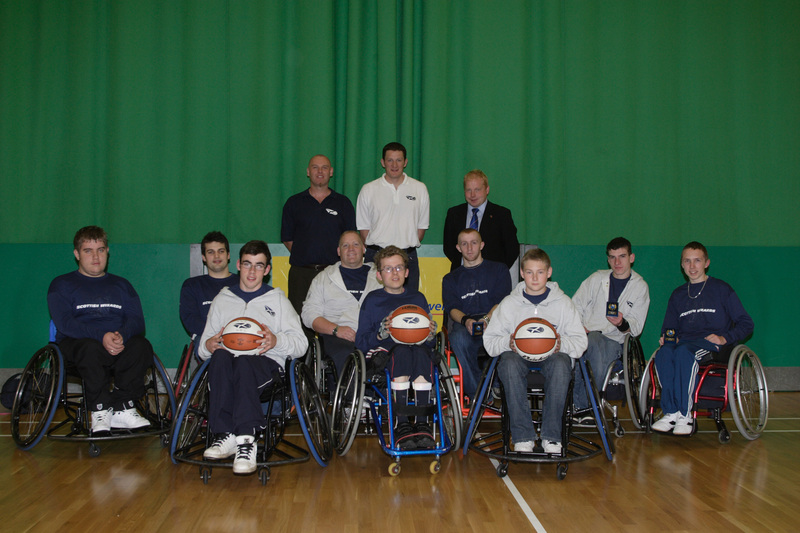 The team is coached by Fraser Govan, who is also National Wheelchair Basketball Co-ordinator for Scottish Disability Sport. Fraser graduated from Moray House, Edinburgh, in 1995 with an Honours Degree in Sport and Recreation Management. 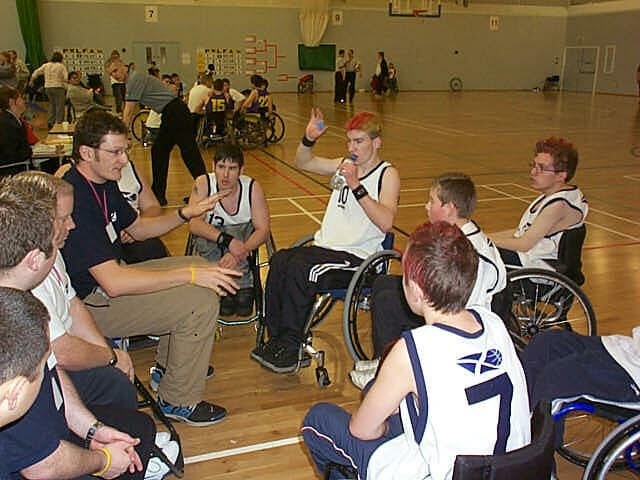 During his time at University Fraser took up basketball and got involved with coaching at Thistle Wheelchair Basketball Club in Edinburgh. Soon after graduating he was appointed to the post of Basketball Development Officer for Linolnshire where his role was to develop grassroots through to club basketball as well as coach development and officiating throughout the county. In November 1997 Fraser moved to the post of Development Officer for Angus Council Recreation Services, then in 2005 moved to his current post of Development Officer for Aberdeenshire Council. Fraser brings to the club several years of experience working with the Thistle Wheelchair Basketball Team. From that team, Gary Smith has come in as player\assistant coach. Working together, they are moulding an excellent team of enthusiastic players. Fraser and Gary are always delighted to hear from any youngsters or adults with little or no experience of the game but are excited about the prospect of playing one of the major team sports within disability sport.